"So happy I found this New Steam Valet"
"And what I love about the Steam Valet is that it rotates, so I can get the front and back, No Fuss! No Fuss! I'm in and I'm out and I'm out the door"
We let our customers speak for the Steam Valet! We are proud to have received the following recognition from our Customers, Community Leaders and other Contributors as a user of our Steam Valet product. 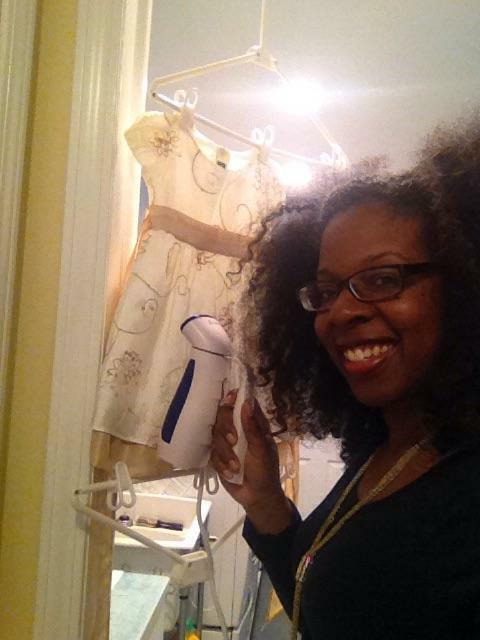 "So happy she found the New Steam Valet" Robin Kinnie, Host of Motor City Woman Radio Talk Show, Detroit, MI - " And what I love about the Steam Valet is that it rotates, so that she can get the front and back, No Fuss! No Fuss!" "I purchased a new product called the Steam Valet, I’m very much on the go and in and out of different places where my suits and dress have to look crisp and not a wrinkle in sight. 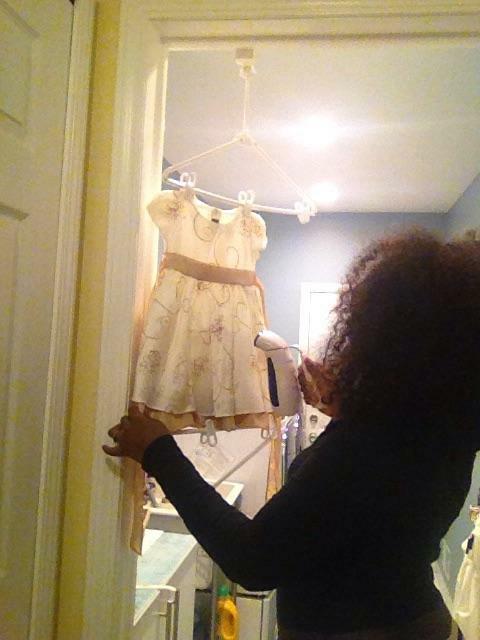 it was easy to use and far better then using an iron to get the look that I needed, this will save me tons of money on dry cleaner bills and allow me to keep that professional edge. Thank you Mr. Farris I LOVE IT!" Farris Co. Inc. Supports Flint Water Crisis! Canton, MI. Beginning on January 29, 2016 Farris Co. Inc. support the Flint Water Crisis by giving $2.00 for every item sold on the Steam Valet Website to the Flint Water Crisis. Money collected from this program will be donated to various causes and foundations which will help the people of Flint, MI. "The Steam Valet is a Great Product! A life saver. We no longer have to drag out the iron and no longer is space being taken up with a large ironing board. All we have to do is put the valet up and we have used it so often that we leave it up in our laundry room for the convenience. We also love using the Quick Steamer for quick and easy way to get our family of five out the door quick. The steamer allows us to decrease our cleaner bills as well. I am so glad that a product to make life easy is finally here. I have told all of my friends about the easy and convenient use. I strongly recommend these products for any one professional or not." I just have to say that for years, as a part of my profession in sales, trade shows and now as an author, I've had to travel with a bevy of suits. Particularly problematic was how or where to hang the suit to steam the winkles out. Occassionally I could hang it on the back of the door, but that was inconvenient to say the least. With the Steam Valet, I never have to worry about that! It assembles easy, attaches to the door frame, and more importantly swivels so I can give equal attention to every wirinkle on the suit or what ever my garment of choice may be for the day. Because first impressions have a lasting impact, your product is an invaluable tool for me. Now that you've bundled with The Salav quick steamer it makes even more sense and is a great value! Darryl W. Harris Sr.-author "A Lion Doesn't Have to Roar"
Tony Farris, the inventor of the Steam Valet was interviewed on the Steve Hood Radio Program on 910 Am the Superstation on June 14, 2016. Steve Hood discussed How Tony came up with the Steam Valet and asked what information did Tony have for Up and coming inventors. Tony advised inventors to first protect their idea and before discussing you idea with anyone make sure you have them sign a NDA and get a patent search and if that turns out favorable get your idea patented.